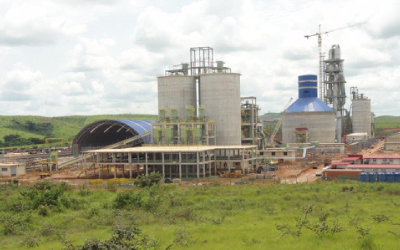 PPC Barnet cement plant is a 3,000 tonne-per-day cement manufacturing plant located near Kimpese, in Cataractes District of Bas-Congo Province of Democratic Republic of Congo (DRC), on the western region of the Democratic Republic of Congo. It is a rotary kiln, dry process based integrated cement plant. The project provides employment to local people in both the Kinshasa head office as well as the Kimpese factory site. The project has also contributed to uplifting levels of education through its support to the local primary school. The project supports a local clinic, thereby leading to an improvement in health services. Additionally, the project financed a program for eradication of mosquitoes, which resulted in low incidences of malaria. It has also catalyzed the growth of small-scale entrepreneurs who supply various items to the factory.